You Wouldn’t Want This on Your Roof! This photo is very strange, and so is the story that goes with it! I was spending time in a rental department in Orlando, Florida USA, where a staff member (who has been a real fan of our ‘what a photo’ series we have been running), emailed me the following pics! 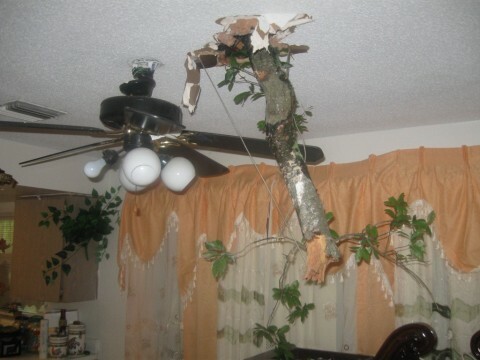 Not only does it show some serious storm/tree damage, with one branch spearing through the ceiling of a living room, but during the storm when the tree came down, stormwater came through the damaged ceiling flooding the property throughout. The house was clearly unliveable! 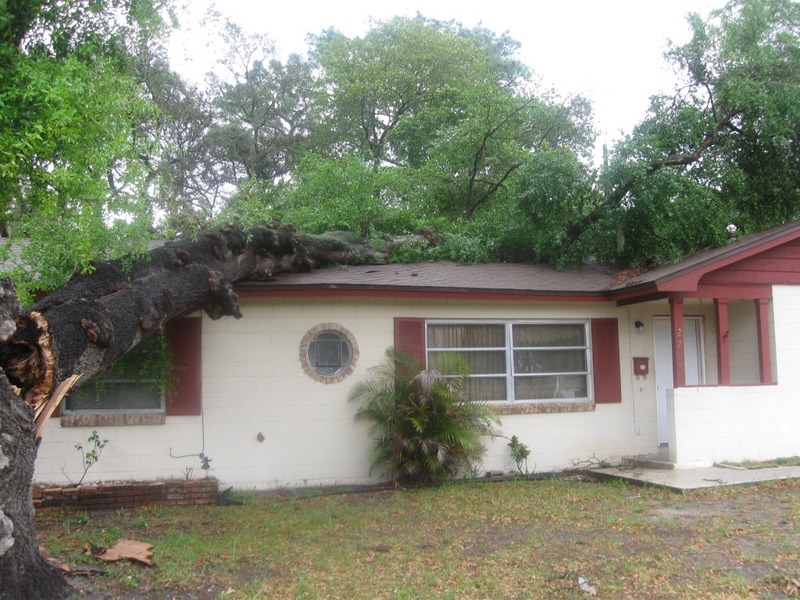 However, when the property manager came to the property to assess the damage and see how the tenants were, they didn’t want to move, despite the floors flooded and roof badly damaged. It wasn’t that they couldn’t move, they just couldn’t see what the big deal was! 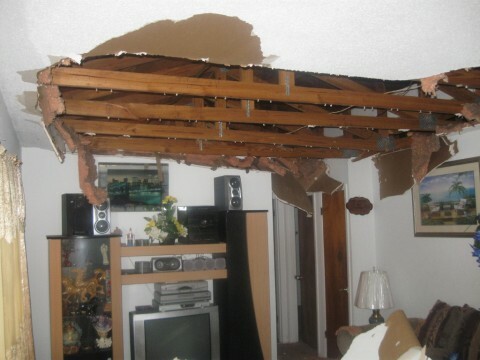 They were happy to live in these conditions, even if the roof needed replacing and the home not fit for tenancy! Anyway, great photo- thanks to Mike Bennett from Real Property Management- Orlando Florida. Got some strange stories?- share them below in our feedback section!